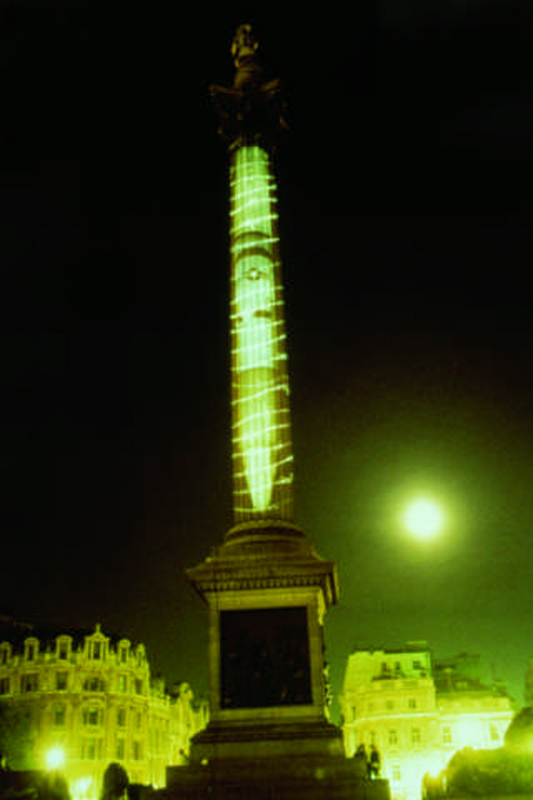 Commissioned to make a projection onto Nelson’s Column in Trafalgar Sqaure for two nights in 1985, Krzysztof Wodiczko focused on the military aspects of the square and decided to project an image of a missile wrapped in barbed wire. But while in London for the event, Wodiczko realised that the square, as home of South Africa House, also played host to a longterm protest against the apartheid regime still very much in charge of South Africa and supported by then British Prime Minister, Margaret Thatcher. 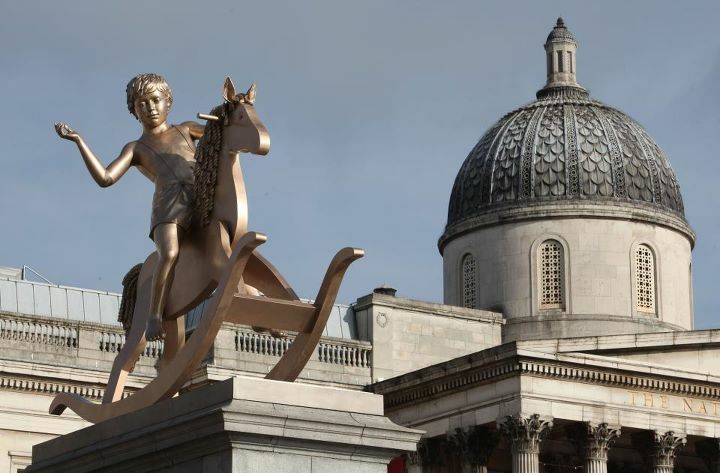 If, in a public square in a capital city, you have an empty plinth intended for a statue of a figure on a horse then what better to put on it than a statue of a figure on a horse? 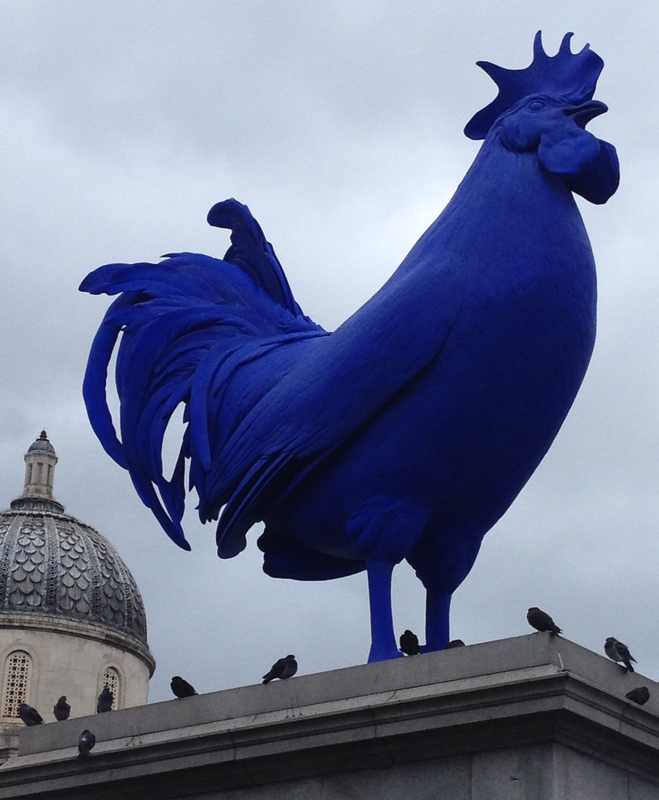 After testing a lot of alternatives on the fourth plinth in Trafalgar Square, the plinth that never quite got its statue, it should come as no surprise that the powers that be have yielded to the inevitable and installed the statue that was always meant to be there. Sort of.